The following example uses a DataTable to populate a Tag Cloud and a Map chart. 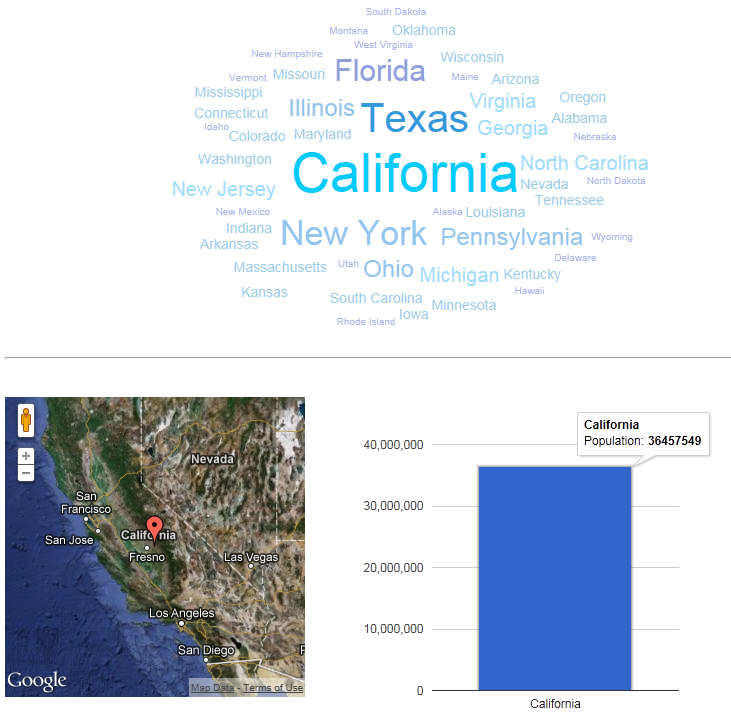 The tag cloud is interactive, and clicking the state will filter the map and column chart accordingly. Just another example of our html5 data visualization capabilities… Click the image to open the example in a new window. This entry was posted in BI At Large, Data visualization, HTML5 and tagged HTML5 Tag cloud with DataTable charts and maps integration. Bookmark the permalink.